For the vast majority of students, school has been an individual effort. The work is done alone for personal growth and achievement, and rarely are students made to collaborate. However, the demand for people who can work together is higher than ever, and school needs to shift more of its focus towards collaboration. This starts with instilling a collaborative culture. And to start building that culture, it’s vital students know that it will be different, and possibly more challenging, than what they’re used to in school- and that’s okay. Moving from an individual-focused environment to a collaborative one can be jarring for many students. It’s like plucking a fish out of the ocean and expecting it to breathe on land. Students should know from the very beginning how your class might be different from what they are used to and what the expectations are for them in this environment. 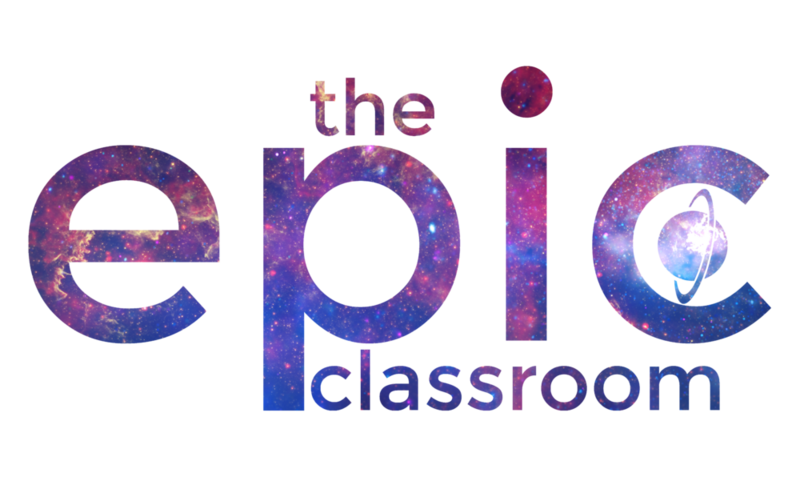 If students are not introduced to a collaborative classroom with clarity, it will lead to friction and resistance down the line, which of course is a natural reaction. It’s become apparent to me after doing the PDs for a while that I can’t just dive into the content of my workshop. I cannot simply walk in and begin to teach and try to inspire teachers to push their boundaries and try this learning I know to be effective and transformational. I have to first provide clarity and understanding if I ever hope to inspire others to try it out. Many teachers have worked in a certain type of environment that they’ve grown used to and comfortable in. Of course, almost any teacher I ever interact with knows there are always ways to grow and get better, so I don’t think this resistance is about hubris or arrogance. It’s that they’ve been around long enough and have had enough new ideas thrown at them with little explanation, and have seen these ideas fail because of it, that they now harbor a large degree of skepticism. There has to be a foundation for innovation before that new learning can occur. This foundation often does not get laid, and the result is new systems failing and an inevitable return to the previous model. The exact same is true for students. Whether you teach first graders or college seniors, most of your students have that bad taste in their mouths from when working with others has gone wrong. For many students, collaboration is not a positive experience, and so many will be hesitant about entering a collaborative classroom. And so before diving into any collaborative work, give students a chance to call out reasons they do not like it. There has to be a foundation for innovation before that new learning can occur. Every single student should be able to generate a list, no matter how much they like collaboration. For even the most skilled collaborators the work is difficult at times. Once students have their lists, let them share their responses aloud and make sure not to minimize anything that they say. Allow students to be heard and honest as they slam collaboration, which they most likely will. I’ve encountered few students (and adults) who enjoy collaborative work before they learned how to do it successfully. They need to know that you understand the struggle and are not naive to the challenges of collaboration. You also hate when one person does all the work and everyone else gets credit. You get why they’d be hesitant to have to work with people you don’t like. (By the way, this is exactly what I do with participants in my workshops). This conversation is a great place to create a class contract. A class contract, also known as a social contract, is a list of norms and expectations for a class that students help create and then abide by the rest of the year. In a collaborative classroom, everything on the contract should be aimed at students working together better. When leading this discussion and creation of the contract, first ask focus questions students write their responses to. One way to do this is set up a gallery walk where students write their responses on sticky notes and place them on posters throughout the room with the prompts/focus questions on them. As students silently walk around to each poster, if they see a sticky note with something they agree with, they should put a check mark next to it. “What does it look like to be involved in your learning? “What does it look like to be involved in each other’s learning? After students respond and place their sticky notes around the room, have students get in small groups and discuss their answers with each other. Then take the discussion to the whole group, and talk about everything students wrote down. What responses have the most check marks? What do students value most in a classroom environment? Synthesize students’ responses and feedback down to essential rules and norms everyone can agree to. You can then print these norms on a poster and hang them in a visible location in your classroom. This poster can be student-designed and be visually attractive, or be as plan as print on paper. What’s most important is that it is student-designed and on display for your class every day. You can even have students sign the bottom of it, having them agree to the norms set by the class. I will listen to others, whether I agree with them or not. I will let others know if they have hurt or offended me. I will work hard to succeed, but also to help others succeed. I will always strive to meet deadlines. I will always strive to do my best work. I will take risks and challenge myself and others. This contract can be used for accountability and a reminder to students of what they agreed to at the beginning of the year. More importantly, creating a class contract is a way to provide clarity to students about the expectations for your collaborative classroom. They will learn early on that there are specific traits that are valued in your classroom, and respect for each other is one of them. This clarity will help pave the way for healthy collaboration the rest of the year. 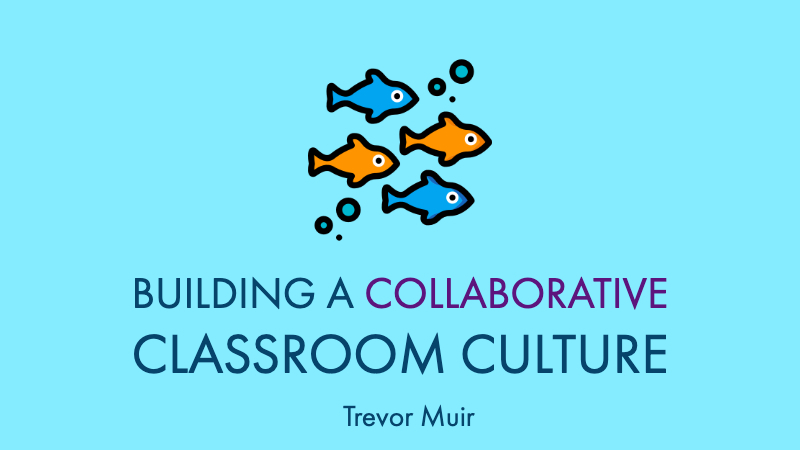 Learn more about creating a collaborative classroom in my new book!